Kalamazoo, MI: On March 29th, investigators from the Kalamazoo Valley Enforcement Team partnered with parole agents from the Michigan Department of Corrections to conduct after hours compliance checks on subjects on parole in the County of Kalamazoo. These checks are to ensure subjects on parole are obeying their restrictions and are living in safe and supportive environments. While conducting a compliance check at an address in the 700 block of Charlotte Ave, a subject on parole answered the door with over one ounce of Crystal Methamphetamine in his hand. It appeared that the suspect was about to conduct a drug transaction. 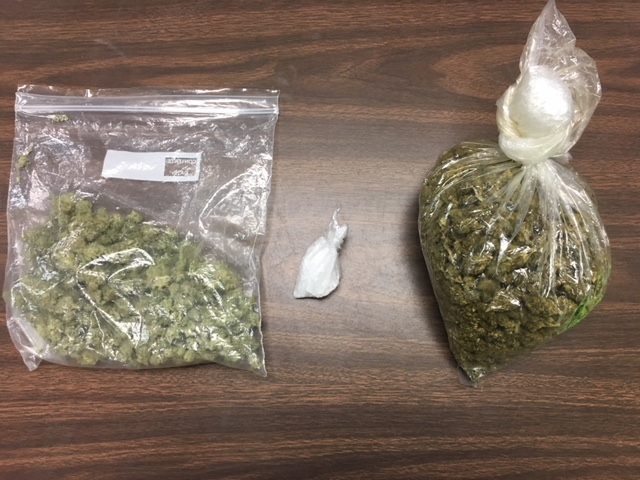 During a subsequent search of the residence, investigators located over one pound of high grade Marijuana and evidence of drug sales. The suspect, a 25 year old Kalamazoo man, was arrested and will be facing charges of Possession with Intent to Deliver Methamphetamines, Possession with Intent to Deliver Marijuana and several parole violations. All charges will be sent to the Kalamazoo County Prosecutors Office for review.